The Ukrainian Association of Press Publishers (UAPP) is a leading voluntarily non-government and non-profit association of publishers - as periodic press (newspapers and magazines), so as internet information resources. UAPP was founded in 2001, and at January 01, 2010 unites 98 members – press and internet publishers from all over Ukraine: 51 regional and 47 all-Ukrainian publishing companies (based inKiev). UAPP members together publish more than 350 different titles with different periodicity – from daily to quarterly and even annually. UAPP members combined average weekly circulation exceeds 15 million copies. The higher body of UAPP management is the General Assemblages, which are held annually (mainly, at February each year). Board of Directors is elected by General Assemblages (for 2 years term) and President (similarly, once in 2 years, without the right of reelection more than to 2 terms successively). Board of Directors and President are appointing the General Director, who is leading the Executive management office of the UAPP. UAPP mission is to protect and to represent the interests of all publishers, to lead the industry’s development into a competitive, investment attractive business with professional management, high editorial standards and economic independence of all market players – to provide important conditions for political independence and to guarantee the Freedom of the Press in Ukraine. UAPP main goal is to create favorable conditions for publishing business development in Ukraine. March, June 2007 – UAPP under the support of mobile operator UMC fulfilled 2 training modules of the project “School of quality journalism”. This project was not extended after the rebranding (from UMC to MTC Ukraine) and personnel change in the PR-department of MTC Ukraine. August 2007 - UAPP under support of Internews Network and International Renaissance Foundation (IRF) organized a series of «round tables» aimed on practical consultancy for the regional press publishers and editors during pre-election period. «Round tables» were focused on problem discussion, experience and knowledge transfer in pre-election period, warning about main mistakes, giving legal advices on specific features of political advertising. January – June 2008 – UAPP under support of MSI project “Promoting Active Citizen Engagement (ACTION) in Combating Corruption in Ukraine” (http://action-msi.org.ua) fulfilled the series of trainings - Project «Increase of attractiveness of journalistic investigations usage in practice of modern Ukrainian mass-media». Main goal – promoting the investigative journalism usage in a daily practice of modern Ukrainian mass-media. From January to June 2008 the series of trainings “Journalistic investigation as type of writing. Management role” was held on. They were visited by more than 115 owners of publishing houses and editors from all the Ukraine. February 2008 – UAPP and all-Ukrainian "Independent Media Trade Union of Ukraine" under support of OSCE project coordinator in Ukraine carried out the project «Recommendations development for the work measurements and qualifying requirements for the print media industry». March 2008 – UAPP under support of International Renaissance Foundation (IRF) developed a book with composite authors, published and distributed it to municipal mass-media representatives. The book name was «National and municipal newspapers reforming. Practical advices for transition to self- financing». June – December 2008 – UAPP under support of International Renaissance Foundation (IRF) executed the project «Assistance to providing of transparency and legality of public authorities activities in the field of print mass-media and accordance of activity of print mass-media to the high standards of journalism». September 2008 – February 2009 – UAPP under support of MSI project “Promoting Active Citizen Engagement (ACTION) in Combating Corruption in Ukraine” (http://action-msi.org.ua) began to implement a new stage of the project «Increase of attractiveness of journalistic investigations usage in practice of modern Ukrainian mass-media». During September 2008 – February 2009 within the framework of the project have been and will be executed next activities: master-class of Natalia Ligachova (Telekritika), three visits to media-companies, practicing journalistic investigations, six online-conferences with editors-investigators on website http://redactor.uapp.org, professional forum for editors creation and running, the number of articles distribution – translated and author materials, real examples of investigative journalism. October 2008 - UAPP under support of Coca-Cola Company in Ukraine conducted first module of project “Journalist Mastery University”. 20 journalists from 12 cities of Ukraine took part in first module. Competition was 3 persons for 1 place. Theme of the first training module was «Modern journalism. World experience, Ukrainian realities and way to professional development». A trainer of the first module is Zoya Kazanzhi. Also in program - master-classes from Sergey Rakhmanin (Dzerkalo Tizhnya) and Olga Chumak (Coca-Cola Ukraine). December 2008 - December 2009 – UAPP under IMS Ukraine support established a specialized group of publishing companies media lawyers – Legal Media Committee (LMK). The main task of LMK – to help to share experience, to provide expert information, to unify legal practice, to prepare ground for lobbying. Each LMK meeting has its own topic. Periodicity – monthly. June – November 2009 – UAPP under Ukrainian media development Fund of the US Embassy in Ukraine performed a project «Modern strategies of publishing business for regional publishers» - a number of 2-days trainings for regional media companies workers. Main task of the project – to provide quality professional knowledge for 120 workers of the regional media. Training topics – from anti-crisis management to skills to write great articles (copywriting). September 2009 – May 2010 – UAPP and Independent Association of Broadcasters (IAB) under U-Nedia Program support started a National contest on professional journalism “The Honor of the Profession”. The main goal is to find out and to encourage the best examples of professional journalism, and to widely distribute the best practices. October 2009 – UAPP under the support of System of companies Coca Cola in Ukraine performed a second module of the «University of Journalism Mastery». 20 journalists were studied. The topic was - «A practical skills to write valuable materials. Focus – ecology, climate, corporate and social responsibility (CSR)». September 2009 – August 2010 – UAPP under International Fund “Renaissance” (IRF) support is performing the project «Information reach journalism: easy, smart, creative» - a number of short trainings and master-classes for journalists and editors, who is focused to use possibilities of analytical journalism, expert knowledge and information from analytical centers. May 2010 – UAPP together with «Microsoft Ukraine» and study center i-Klass performed a seminar «Editors Day, Powered by Microsoft», devoted to modern technology possibilities usage to improve efficiency of the editorial processes management as well as own efficiency management. June 2010 – New sections at the «Editors’ Portal» are open. New stage of the project started under the support of «JTI Company Ukraine». Some topics are covering under the support of the International Fund “Renaissance” (IRF). September 2010 – Training project on publicly important topics (economy, personal finances, entrepreneurship, banks and others) for regional journalists - «Financial Consultant for a Journalist». Organiser – UAPP in partnership with VAB Bank. December 2010 – The third annual Conference of Publishers and Distributors was hold on. Topic - «Press sells 2011: what is needed to be ready for and what is to put into focus?» There were more that 90 attendies from all over Ukraine. October 2010 – May 2011 – Second National Contest on professional journalism preparation and holding on “The Honor of the Profession” (www.konkursmi.org)/ Together with IAB and under U-Media program support. December 2010 – September 2011 - Project: «Coalition on legal reforms implementation and legal assistance». Organiser – UAPP under U-Media Program support. January – December 2011 – Project: «Legal Media Committee of UAPP». Organiser – UAPP under IMS support. February 2011 – Training: «Personal finances: new ideas for a helpful coverage». Project: «Financial consultant for a journalist». Organiser – UAPP in a partnership of the VAB Bank. March 2011 – Strategic Thinking Conference for UAPP members. June – August 2011 - Project: «On the way to the international standards: organizational development of the Ukrainian Association of Press Publishers». Organizer – UAPP under support of the U-Media program. January – April 2012 – 3rd National Contest for professional journalism «Honor of the Profession» (www.konkursmi.org) fulfillment in partnership with IAB and under the U-Media program support. Conference on actual issues of professional journalism, Awarding Ceremony. Total number of Contest participants – more than 70 journalists from different types of media. The number of the Conference participants – 120. 2-5 September 2012 – 64th World Newspaper Congress and 19th World Editors Forum. Uapp – an official host. Organiser – WAN-IFRA. Total number of participants – more than 1000 senior editors and media managers from all over the World. December 2012 – May 2013 – 4th National Contest for professional journalism «Honor of the Profession» (www.konkursmi.org) fulfillment in partnership with IAB and under the U-Media program support. Conference on actual issues of professional journalism, Awarding Ceremony. Total number of Contest participants – more than 220 journalists from different types of media. The number of the Conference participants – around 90. October - November 2013 – Short trainings for journalists about how to cover Millennium Development Goals and to monitor developments. 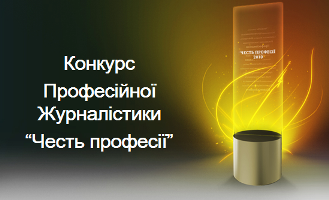 November 2013 – 9th studying module of the “University of journalism mastery”. Topic – “Covering AIDS: from knowledge to mastery through understanding and impression”. Organizer – UAPP under support of Coca Cola in Ukraine System of companies and in cooperation with the Olena Pinchuk Foundation “Anti AIDS”. 25 participants from more than 20 Ukrainian cities. More than 15 articles in different media with the use of information, given to participants during the studying module. January – April 2014 – 5th National Contest for professional journalism «Honor of the Profession» (www.konkursmi.org) fulfillment in partnership with Independent Association of Broadcasters (IAB) and under the support of Council of Europe Project financed by the Canada Government, UN Representative in Ukraine, U-Media program and several private companies. Conference on actual issues of professional journalism, Awarding Ceremony. General data about the Contest and the Conference: 596 competition participants (articles or other forms of content) from 235 journalists who are working in 166 different media from the whole Ukraine. The number of the Conference participants – around 100. April 2014 – Together with the Rinat Akhmetov’s Foundation «Development of Ukraine» the master class and open lecture was performed in the Zaporizzhia National University. Andrii Kulikov, Hromadske radio reporter, presented his master class. Participants – more than 100 students and lecturers of the Zaporizzhia National University. April – May 2014 – A number of seminars devoted to the green economy and sustainable development were performed in cooperation with the Development Program of the UN in Ukraine. Participants of each seminar – more than 20 journalists from different Ukrainian cities. In total more than 45 journalists were studied.